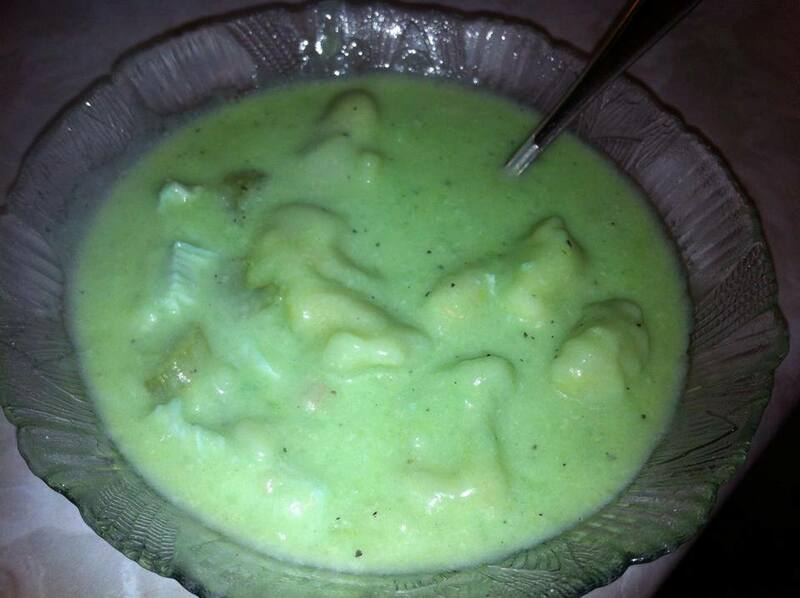 Enjoying a tasty dinner of Leprechaun and Dumplings and veggies! Yummy!!! Happy St. Patrick’s Day! It doesn’t look as green in the picture, but it is a nice color, lol! Btw, I’ve heard that leprechauns are low fat…just sayin’…I do this with some food every year, the twins think it’s funny!